In The Grand, classic meets contemporary in a completely unique way! This slot boasts a beautiful and timeless Art Deco design with clear and stylish icons – a design that was inspired by red carpet events filled with famous people in long dresses and expensive jewellery. It oozes glitz and glamour. At the same time, this game offers extremely volatile gameplay and non-stop excitement! We’ve taken the three top-performing features of all time and combined them all in one slot to create a thrilling gaming experience. The Grand boasts six stunning reels, which can all be synced in the Synced Reels feature. 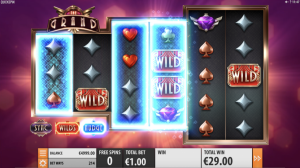 The Random Wilds feature places 4 to 8 Wild symbols on the reels, and the Nudge feature nudges up to three reels, allowing the player to trigger both the Free Spins and Bonus feature in non-traditional ways. Multiple features can be stacked, so players will chase the opportunity to unlock all three features to find out what will happen. On top of this, there’s the very exciting potential to win 2901,5 x the bet, so there’s always a chance to win BIG! 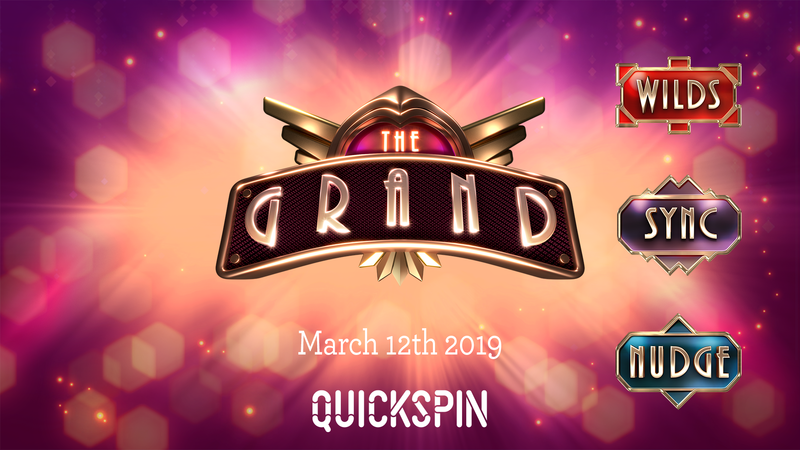 The Grand will be released on the 12th of March 2019. The Grand will be available in all markets where Quickspin is currently present, including the Swedish market. 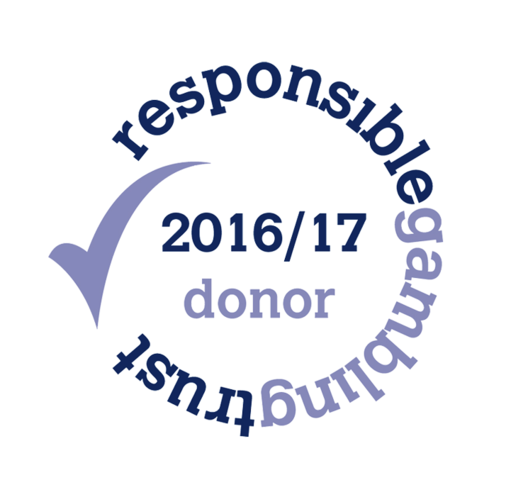 Five of the outstanding gamification tools in our Quickspin Promote catalogue will be available from day one (all except Challenges), and you can test play the game in our Client Area. 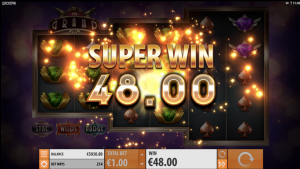 When creating this game, we wanted to produce a classic slot with high volatility gameplay, something we’ve never seen before. Javier also worked on our game Eastern Emeralds, which was nominated for an ‘EGR Game of the Year 2018 Award’ at the eGaming Review Operator Awards ceremony! If you need any marketing material for this game, please check the game page for The Grand in our Client Area. In here, you can download all your graphic material as well as promo videos for your social media marketing!